The latest insane idea from the political Left is called “Universal Basic Income.” It’s based on the idea that governments should pay everyone a basic “wage” for doing nothing, and it’s justified by concern over robots replacing workers in the years ahead. But “income” is something you earn, by definition. So you can’t call it “income” if nobody is earning it. The correct term for this is Universal Basic WELFARE. It’s just a grand entitlement handout by governments to keep the sheeple in line while their liberties and dignity are stripped away by a totalitarian state. It’s not about giving people something for free, it’s about controlling everyone, turning you into a mindless sheeple consumer, and making sure that the very idea of standing out and achieving and doing something for yourself is bred out of the culture. They want generation after generation entirely dependent on the system, where the government is your mother, your father and your God. This is the opposite of freedom… it is financial enslavement. 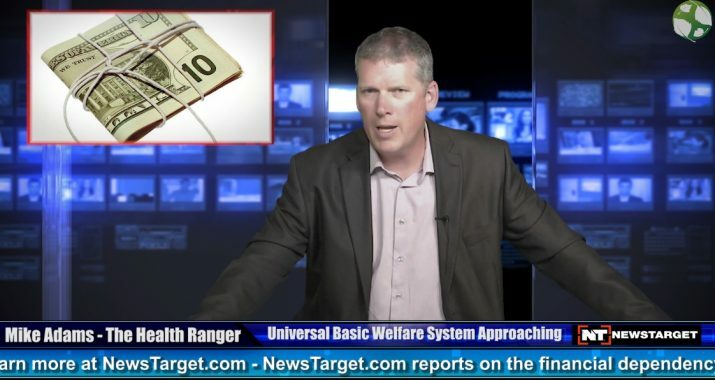 People currently pushing Universal Basic Welfare include evil globalist Mark Zuckerberg and taxpayer-funded techno hype artist Elon Musk. Other liberals are also on board, attempting to praise the idea of “free money for everyone,” apparently oblivious to the fact that putting everyone on welfare is possibly the most destructive idea collectivists have come up with yet. So much for the idea that income has to be earned, eh? Once they start handing out free money to everyone, it won’t be long before the Soylent Green harvesting trucks start running 24/7.